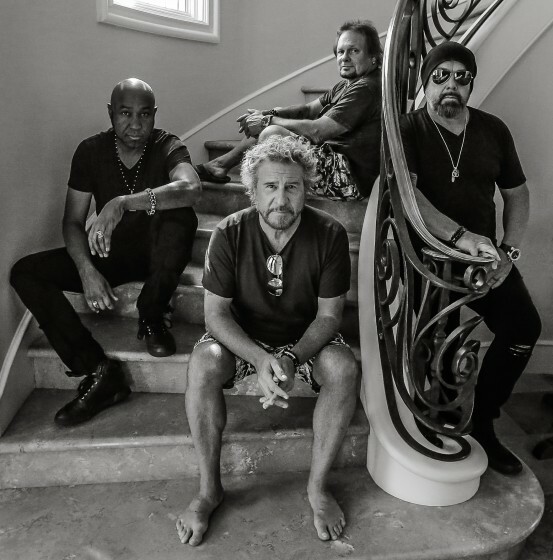 Sammy Hagar & The Circle have revealed the first details of their debut album of original material, titled "Space Between," set for release on May 10 through BMG. Fans can pre-order the album here, listen to, buy and stream the first single from the record, ‘Trust Fund Baby,' here and watch the lyric video, here. Formed in 2014, the acclaimed supergroup featuring Rock & Roll Hall of Fame inductees Sammy Hagar and bassist Michael Anthony, drummer Jason Bonham and guitarist Vic Johnson, have quickly established themselves as one of the most emphatic and exciting live acts on the road today, seamlessly ripping through career-spanning hits from Montrose, Van Halen, Sammy Hagar and The Waboritas and Led Zeppelin. With the May 10 release of the debut studio album, Space Between (BMG), the band has produced a collection of original new material which harnesses the depth of their artistic experiences and seminal collaborative sound with Hagar's prolific writing vein to produce an album that builds and explodes, song after song, around the concepts of money, greed, enlightenment and truth. On tour, the critically-acclaimed supergroup takes fans on a musical journey through rock history, with a set list spanning four decades of Hagar’s hits from MONTROSE, his solo career, VAN HALEN and beyond — and with Bonham on board, they also tear into a few LED ZEPPELIN classics — thrilling audiences and critics alike with their live concerts. The music draws on the bands' substantial careers independently and collaboratively; presenting a veteran band still at the peak of their game.